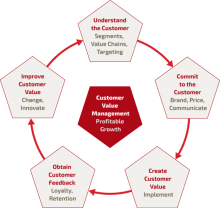 A simple five-step best practice model for value-based marketing and customer value management. The basis of this is our CVM€ Diagnostic, which measures marketing and sales effectiveness and benchmarks against best practice. The Pentadigm® model provides the framework for the workshops and commercial excellence programmes offered by Customer Value Management GmbH. Each of the five key steps in the model is covered by a three-day intensive interactive workshop. Specific topics are then studied in more depth in specialised master classes and by on-the-job coaching on a group and individual basis. All workshops and commercial excellence programmes are tailored to the specific needs and market conditions of the client company. 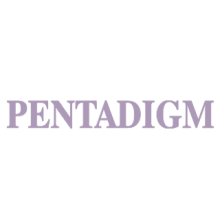 Pentadigm® is the basis of our unique CVM€ Diagnostic to measure and benchmark marketing and sales effectiveness and best practice. Click on the diagram to the right and explore our areas of expertise.